If You’re Any Damn Good. . .
I’ve missed posting for a few weeks because my father passed away on May 22. His health had been declining for several years, but you never know when it’s going to happen. I was en route to Connecticut when, according to his wishes, they removed the ventilator and with a sedative he quickly and peacefully faded away. He was in many ways not an easy man. However I think his life has some lessons for us as we continue our efforts in our businesses. One of his favorite sayings was from Ernest Hemingway: “Everything’s your own fault if you’re any damn good.” While I don’t believe this is true about everything, I do think there is much wisdom in it. When we take personal responsibility, we are empowered to change, grow and improve. When corporate politics forced him out of the insurance company where he had worked for 29 years, he didn’t waste a lot of time railing against the injustice. He continued on to several other senior executive positions and was elected president of his industry’s national association. Years ago, when one of my businesses encountered severe difficulties that precipitated a drastic restructuring, I didn’t blame my business partner. I took personal responsibility, cleaned up the mess as best I could and carried on. So what’s going on in your life that you need to take responsibility for? Something that you’re ready to tackle, learn from, turn around and rise above? 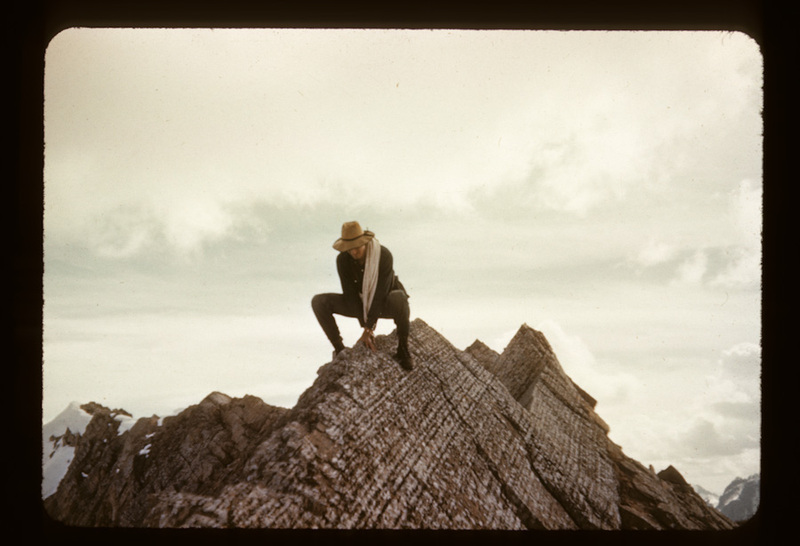 Here’s a photo of my Dad on an expedition he co-lead with college pals in the Yukon in the early 1950’s. He was one tough cookie and I think mountain climbing was his way of rising above things. Thanks for everything, Dad, the good stuff, the hard stuff, the toughness, and the underlying steadfast love. May we all remember what’s truly important in business and personal life: taking responsibility for our relationships with spouses, family, friends, colleagues, clients, customers and, yes, even strangers. Â© 2018 Anne Alexander. All rights reserved. My father-in-law passed away last month, I was closer to him than my own father in some ways. Sorry about your loss, it’s part of the cycle and all that, but, DAMN it! we still miss people so much when they’re suddenly just, not, there. I’m with you in spirit, stay strong but cry your eyes out whenever it hits you and just feel it with your whole soul.